So seriously that when it comes to choosing our dish of the day, we have to evaluate all the gastronomic offer to know what to order; because between a mole, chalupas, sopes, cochinita pibil and Chiles rellenos, the choice becomes complicated. We will probably end up asking for an extra dish to share. Thanks to the recipes that our ancestors left us (that we still prepare), Mexican food has become unique, as well as elaboration procedures, which make our gastronomy a real and delicious heritage. That’s why you can’t miss these 10 Mexican dishes. This typical dish and protagonist of our national holidays was born in 1821. It consists of a Poblano chile stuffed with ground meat (stewed with fruit), bathed in walnut cream and garnished with pomegranate. Its colors represent the flag of Mexico, and its history is somewhat peculiar since it is said that when the Trigarante Army was in the state of Puebla, heading to Mexico City, after having signed the Treaty of Cordoba, the nuns of Santa Monica prepared this dish to receive the army. This is Mexicans most valued dish, its history goes back to pre-Hispanic times, where ancient civilizations prepared a “mulli” or mixture to offer the great gods. It is also a dish of sophisticated elaboration since to form a good soft dough you need about 20 ingredients like chocolate, sesame, peanut and different types of chiles, among other ingredients. In Mexico the variety of moles is sufficient, we calculate approx. 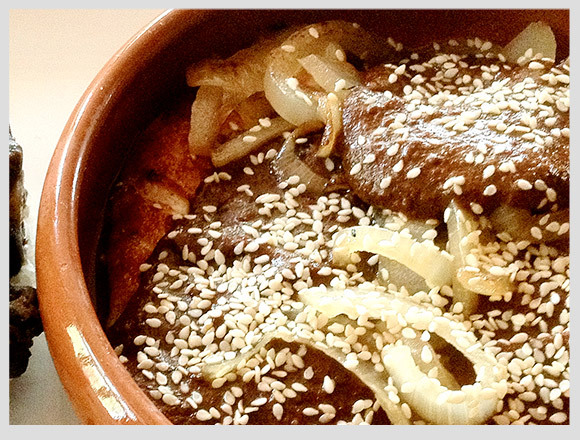 50 types of moles among which stand out: mole prieto, green, white, mole de olla, and almond mole. It can be a little difficult for Mexicans to describe these street foods, but the main elements are tortilla, sauce, cheese and cream par excellence, and of course, they can have chicken, tinga, or some other stew. 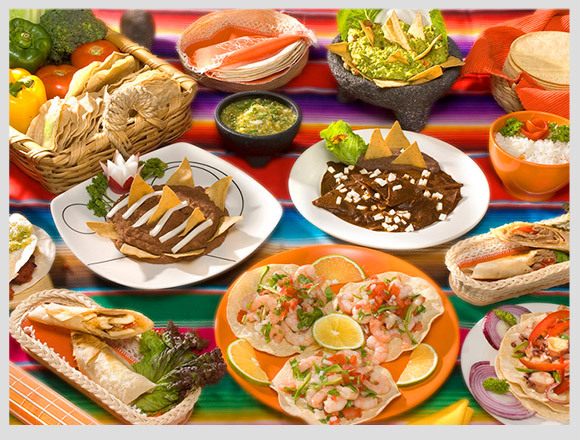 The basis of different Mexican dishes is the tortilla, the variation is in the thickness and shape of the same. Here is a small list of the dishes that have as a base, tortilla, cheese, and cream: empanadas, chilaquiles, quesadillas, tostadas, huaraches, enchiladas, sopes: you see? In Mexico, it is estimated that we have more than 64 types of chilies, only in the state of Oaxaca are 25 types of these. The most popular are serrano, chipotle, jalapeno, de árbol, habanero, seco, poblano, cascabel, among much more. 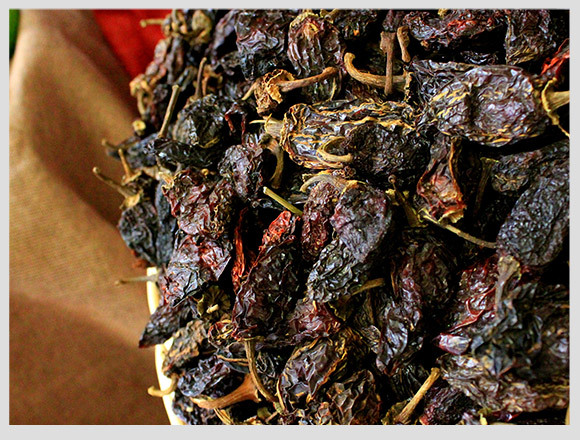 Chilies are the primary element of the preparation of many Mexican dishes, and others are used for sauce recipes. No Mexican food is complete without their freshly made tortillas. Fortunately, it is one of the complements that has survived without any change since ancient times, over 500 years. We as Mexicans, have known how to rescue and exploit it because of the variety of corn that exists, we have 3 types of tortillas: white, blue and purple corn. 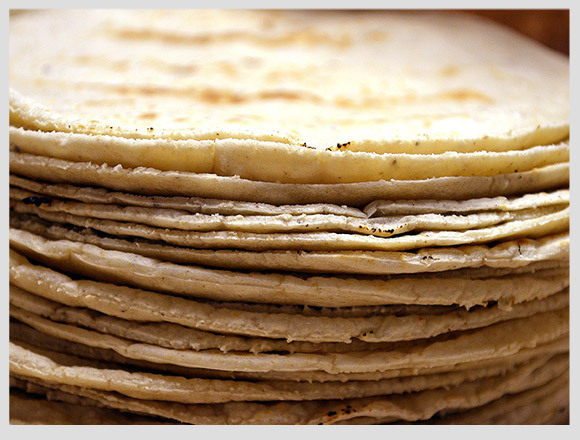 The next time you eat a tortilla, you’ll know you are actually eating an age-old recipe. In ancient times, chocolate was served as a sacred drink in the important ceremonies of diverse pre-Columbian cultures and was drunk only by the higher charges of each civilization. 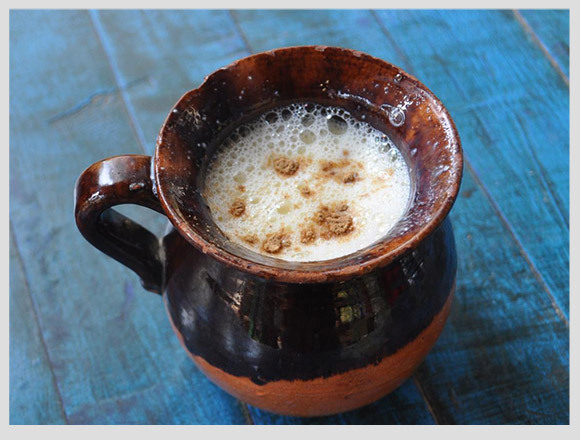 However, the real Mexican drink is prepared with water, not with milk and contains spices, pepper and is taken without sugar. Another curious fact is that the cocoa used in this preparation must be 90% pure bitter chocolate. The word comes from the Nahuatl “tamalli” meaning wrapped. 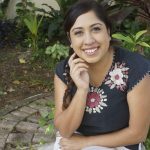 It’s an indigenous dish based on dough, stuffed with some chicken or pork stew, and can be wrapped in banana leaves, corn, maguey, avocado or bijao. 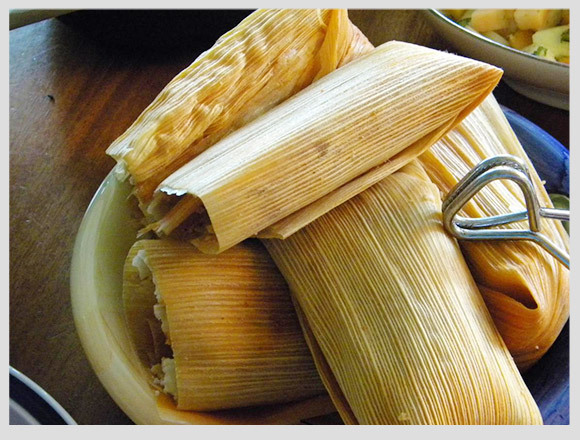 Each region of Mexico has a type of tamale; it can contain cheese, beans or many other ingredients, Mexicans are very creative when it comes to food. 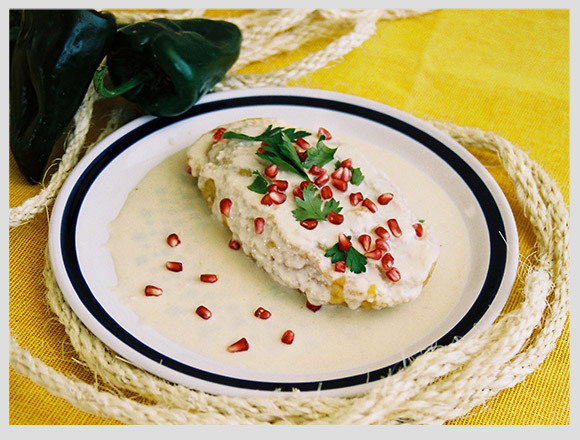 The name of this preparation also comes from the Nahuatl “atolli” which means: watery. There are many flavors: rice, chocolate, strawberry, guava, pineapple, among others. 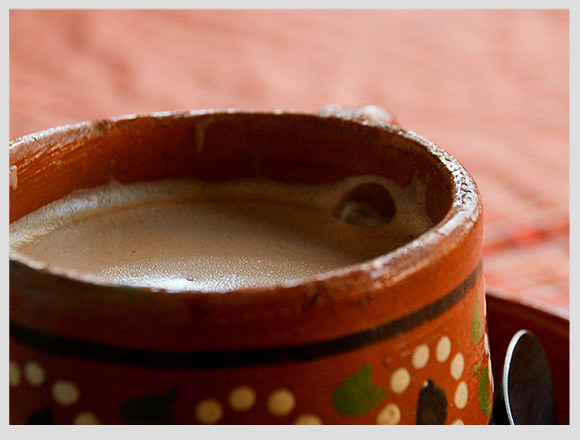 The Aztecs were the first to prepare this drink, boiling the corn with water to thicken it. They seasoned it with cocoa, chili and honey. 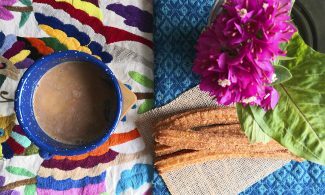 A good atole is always accompanied by a good tamale. Its name derives from the Nahuatl “izquitl,” which means toasting, and we already know the traditional preparation: mayonnaise, cheese, lemon, and chili. 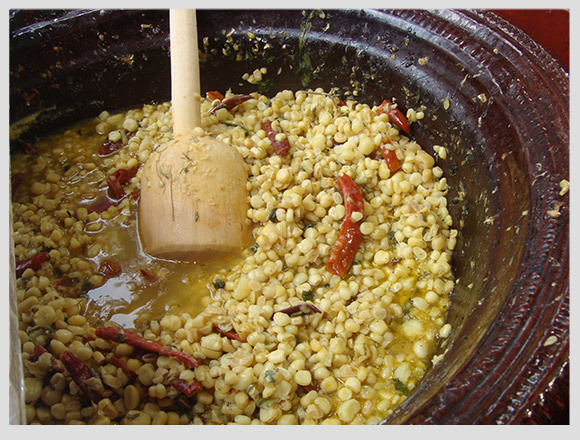 Also in the center of the country, it is customary to cook the grain with epazote leaves, which gives it an unusual flavor, without a doubt this antojito is the most popular in gastronomic fairs and big celebrations of the country. And since there are many types of chili, obviously the variety of sauces is endless. The origin of these is indigenous, and some are of foreign origin, due to colonization and miscegenation. 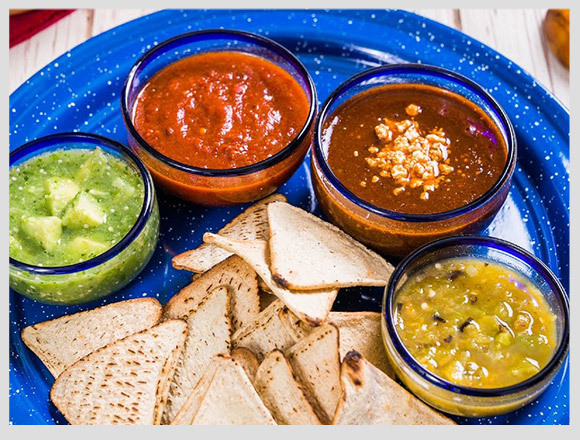 Sauces not only serve to prepare or, as Mexicans say: flavoring food, they are also part of the preparation of many dishes, there are even some that literally go dipped in a sauce. 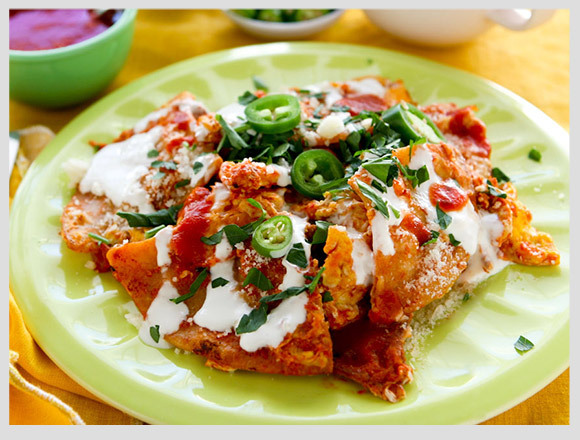 We are experts in covering all kinds of food with this complement, from taquitos to stews. A good sauce should never be missing from the food. 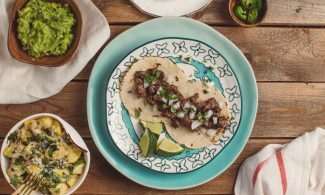 With these facts and tips, you can now say know the basics of Mexican gastronomy, so the next time you eat it, you can share this information with friends and family. Bon Appetite! 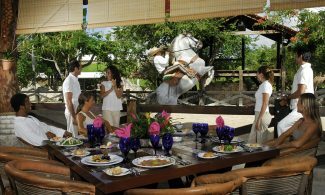 At Xcaret Park our gastronomic offer is based on foods and drinks that represent the tradition and flavors of Mexico; we incorporate high quality techniques and ingredients with an innovative vision of the renowned Mexican cuisine.